Nokia has announced the Lumia 620, an affordable dual-core Windows Phone 8 smartphone, mainly aimed at budget conscious consumers. 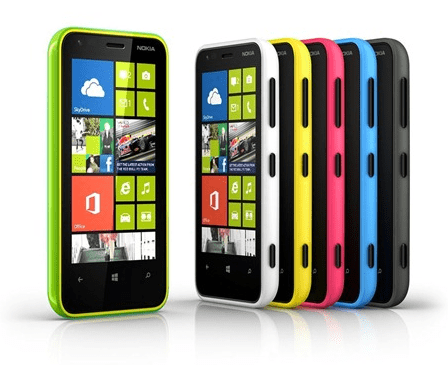 Nokia has announced the Lumia 620, an affordable dual-core Windows Phone 8 smartphone, mainly aimed at young users. This is by no means a compromise in terms of hardware specs. It sports a dual-core 1 GHz Qualcomm Snapdragon S4 CPU, 1 GB of RAM memory and a 3.8 inch TFT WVGA touchscreen. As well as an 8-megapixel rear facing camera. The touchscreen’s resolution is 800 x 480 pixels. There are Windows Phone 8 devices with 720p resolution out there, but this smartphone is more affordable. The main camera is a 5 megapixel one, while the front-facing one is a VGA one. The Lumia 620 has 8 GB of storage, but this can be extended via a microSD card up to 64GB. You also get SkyDrive, which gives you 7GB of cloud storage. Now, I know it’s the price you’ve been waiting for, and it doesn’t disappoint – $249 before taxes and subsidies. It starts selling in January 2013, starting in Asia. Then rolls out to Europe, the Middle East and the rest of the markets.